Rustique Swan Events, Styling & Vintage Rentals is a boutique wedding and event company ready to personalize and customize your next event. A la carte services and rentals available! I’m Amy, the creative behind Rustique Swan. I have a great love for all things vintage, treasure hunting, thrifting,, re-purposing, setting up pretty vignettes and tablescapes, and celebrating all of life's special events in a unique and meaningful way. My passion is creating and styling memorable events where everyone comes away feeling celebrated. My passion is creating and styling memorable events where everyone comes away feeling celebrated. I work with a vision, conceptualize the theme, and immediately begin to detail and curate specific elements that epitomize the attributes, qualities and passions of the host - the celebrant - and bring the vision to life in meticulous layers and dimensions creating a celebratory ambiance that exalts the celebrant and the celebrators. I would love to artistically create the perfect event and lasting memories for you too! 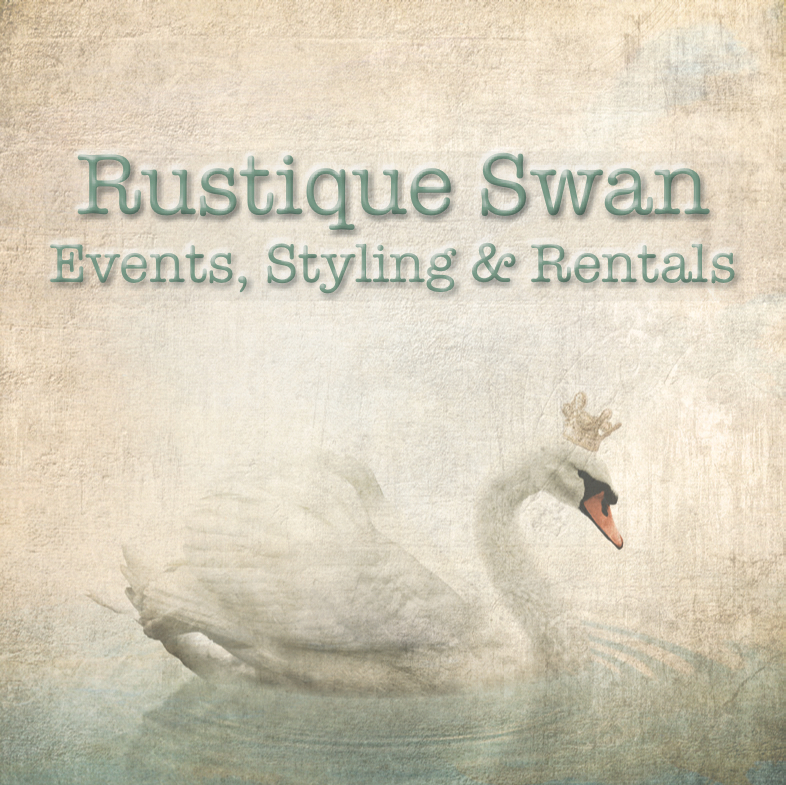 Rustique Swan is a boutique wedding and event company that specializes in custom event design , styling and rentals of one-of-a- kind vintage, boho, rustic, elegant, industrial decor items for all of life's events- parties, showers, weddings, anniversaries, photo shoots.